From William Fender, Barry Dock, Wales. 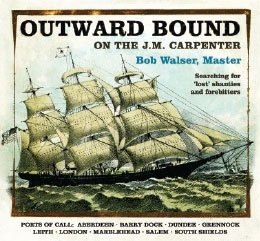 Another gem from the mysterious William Fender who heard it ‘on board Nova Scotian, pumping ship, one of McCann’s from “cockney bloke”‘. The first two verses are from Fender but it’s so much fun to sing that I supplemented his with a few of my own and a few floaters. To the sunny shore of Amer-eye-kee. Down in those valleys down below! To the sunny shores of Amer-eye-kee. He asked his true love for her hand. We’re outward bound for Amer-eye-kee. This lousy tub we’ll see no more. A sailors wage is never high.